"We can say with confidence that our plant is an example of high-tech modern Russian production capable of providing the high-quality equipment for key industries. Our main development strategy is flexibility and clear understanding of the modern world tendencies in the market of power equipment. 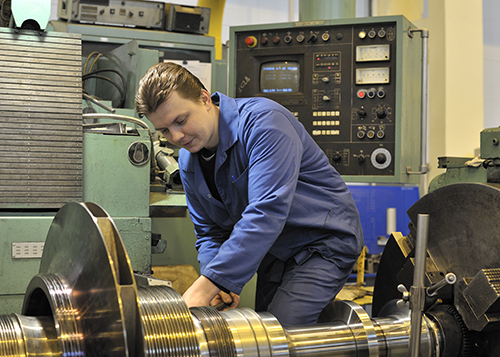 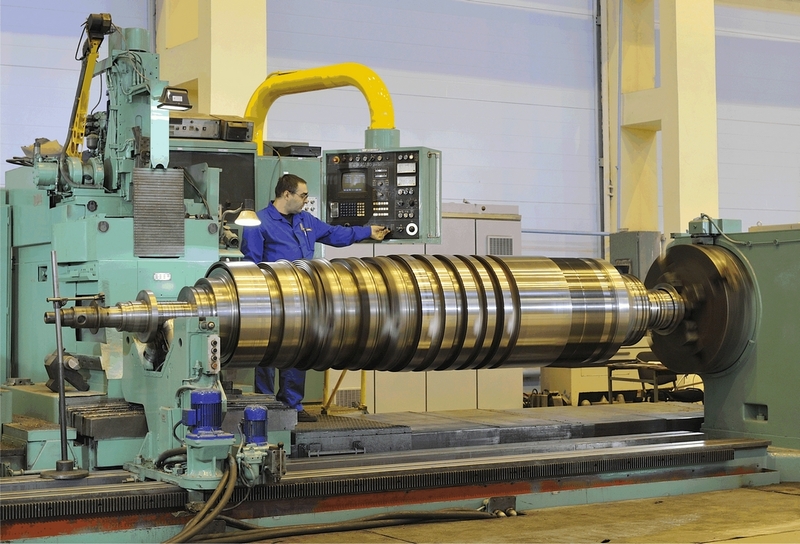 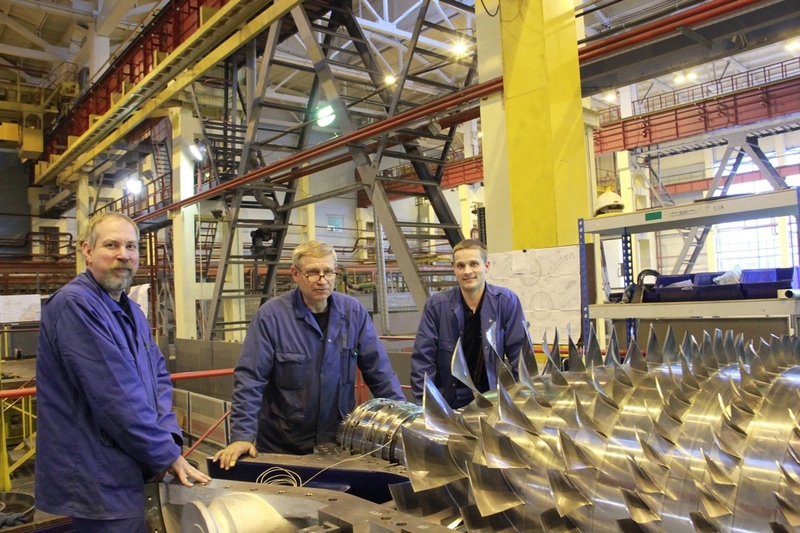 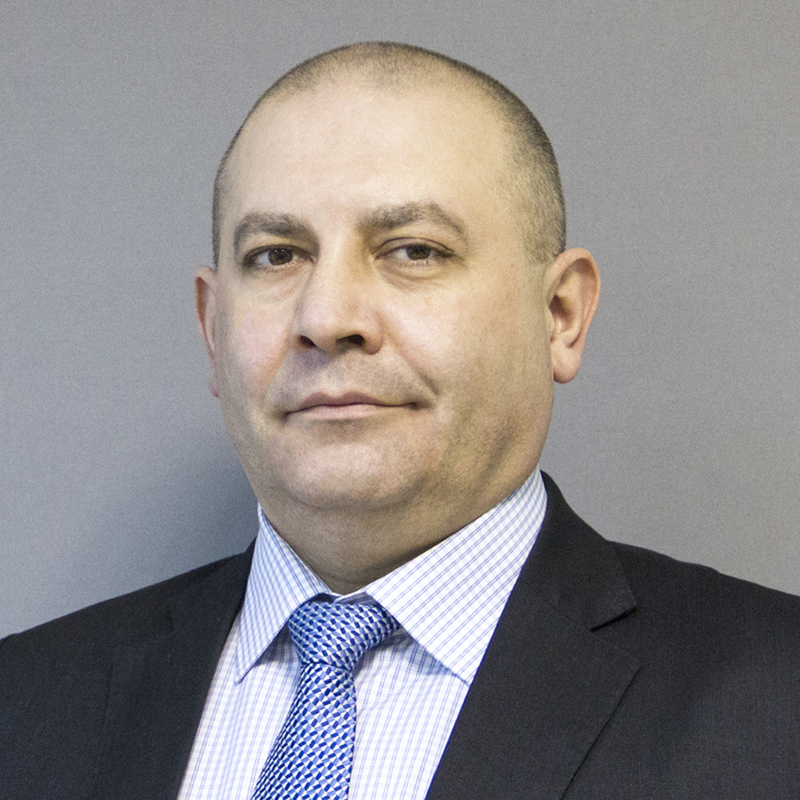 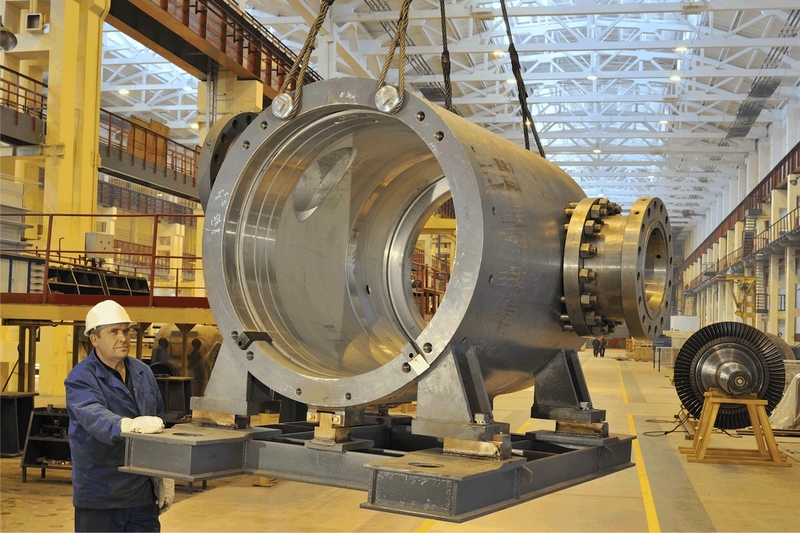 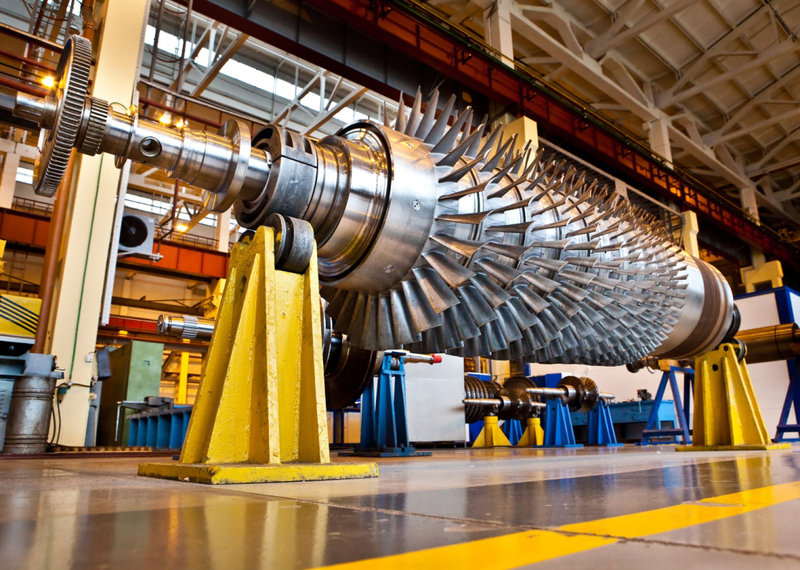 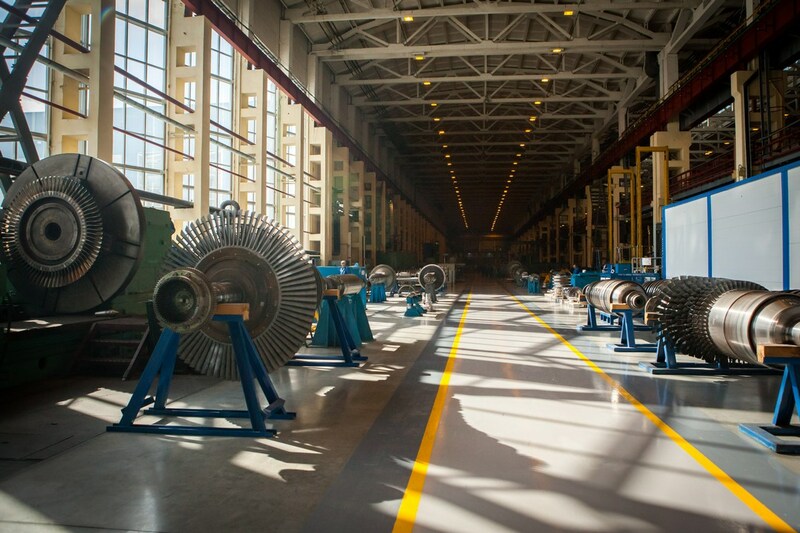 Many years of experience, a solid team of professionals, unique engineering developments, active mastering of innovative manufacturing technologies – all this allows us to produce modern energy efficient turbo-compressor machinery and compete in the world market, thereby developing the Russian industry on the whole". 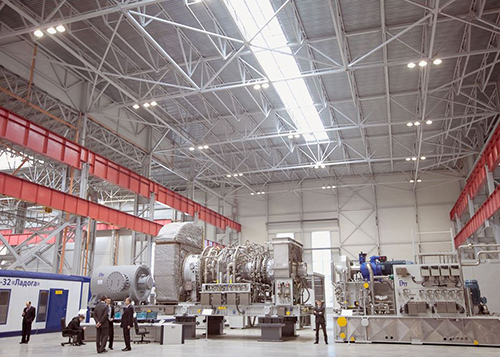 «Nevsky Zavod» - is the oldest industrial company of St. Petersburg, a leading power engineering enterprise of Russia. 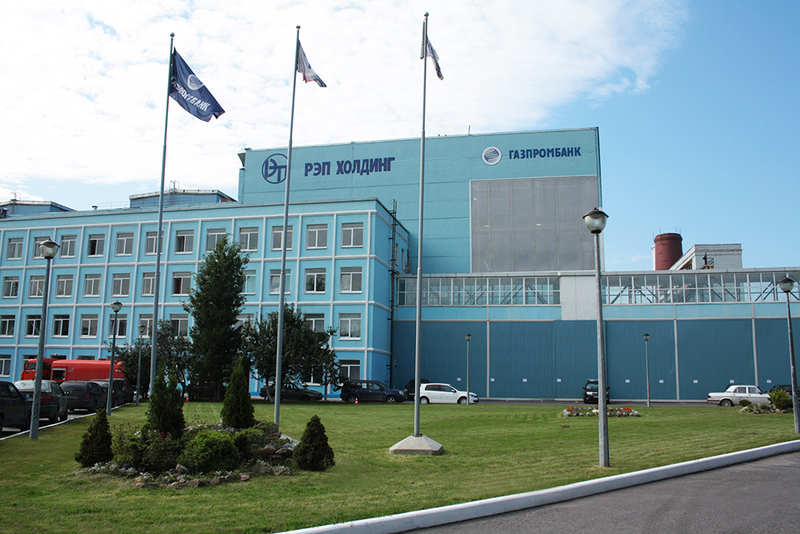 The Plant was founded in 1857. 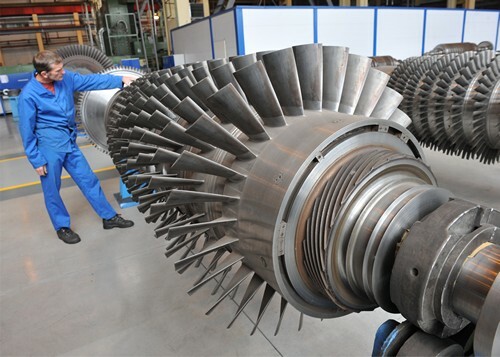 It manufactures and develops power engineering products, such as industrial heavy-duty gas and steam turbines, centrifugal and axial compressors and blowers, for more than 75 years. The Plant provides equipment for the facilities of fuel-and-energy complex, metallurgy, machine-building, petrochemicals, oil and gas industries. In 2007 Nevsky Zavod became part of REP Holding. Since that moment a new stage in the development of the Plant began. 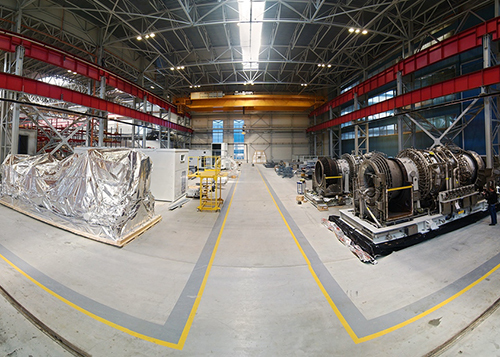 In 2008-2010 full-scale reconstruction of Nevsky Zavod was carried out: new production shops were built, modern technologies were implemented, unique machine tools were acquired, test beds were upgraded and new ones were built. 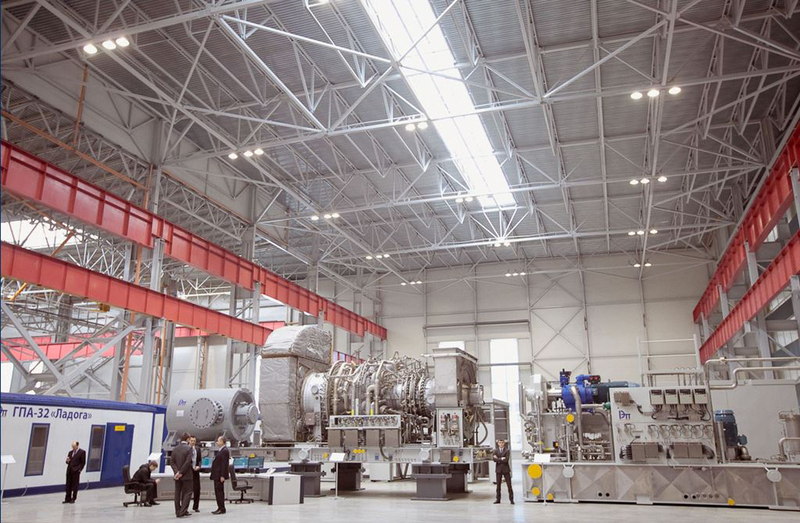 For implementation of the long-term program for manufacture of a new- generation power GTU rated at 32 MW full-scale reconstruction and modernization of the production facilities was carried out at the Holding enterprises in 2008-2010. 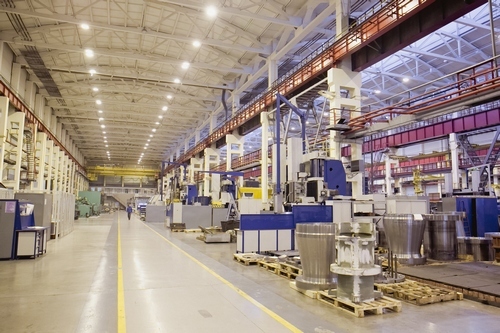 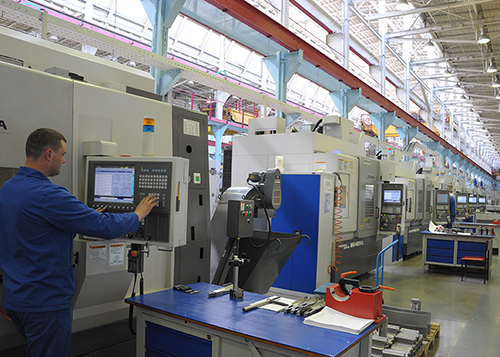 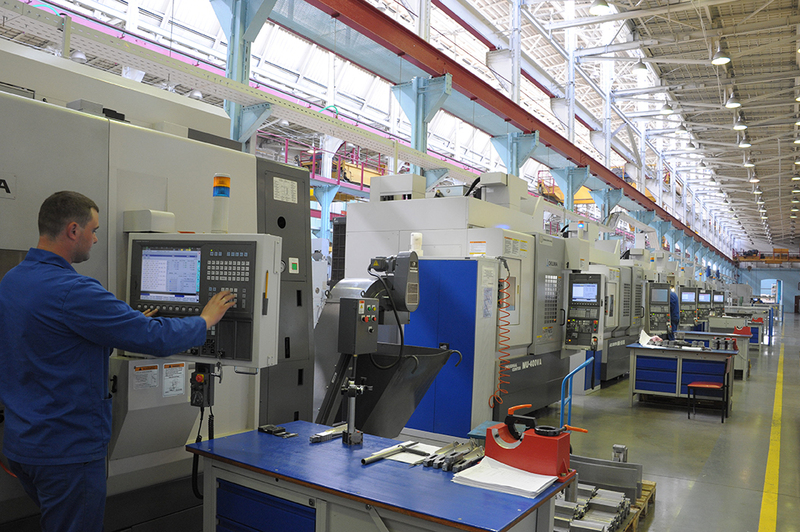 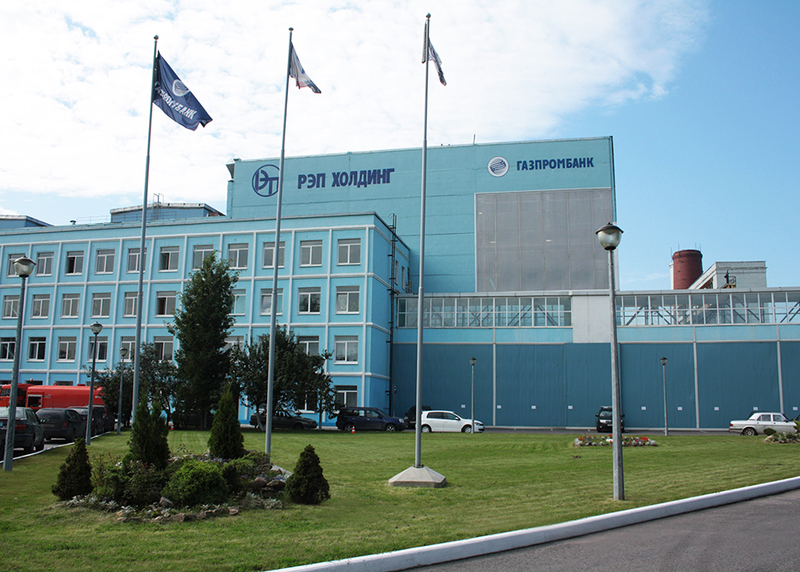 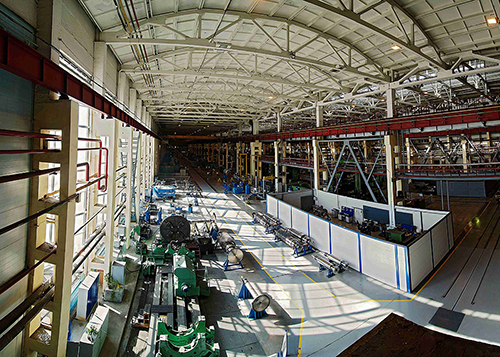 In accordance with the modernization program all technological processes were reequipped with the latest up-to-date tools, the production and service premises were refurbished, the shop structure reorganized, five main production processes were completed, the multilevel planning system was introduced. 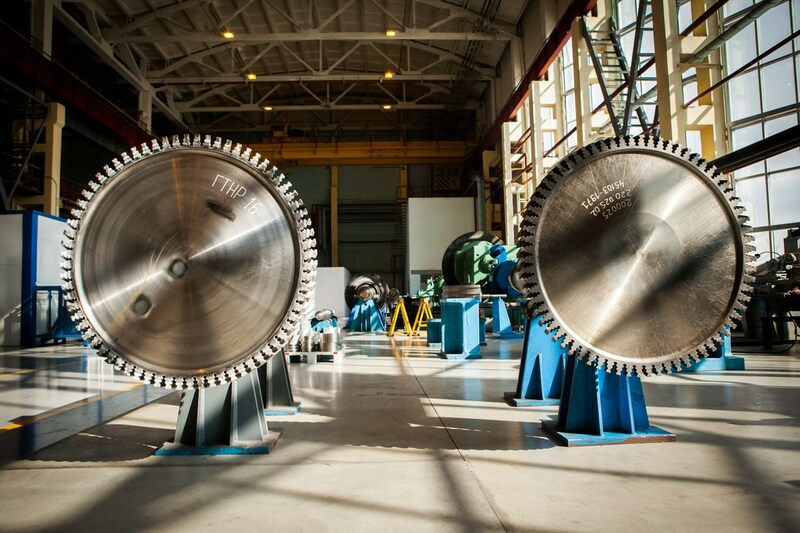 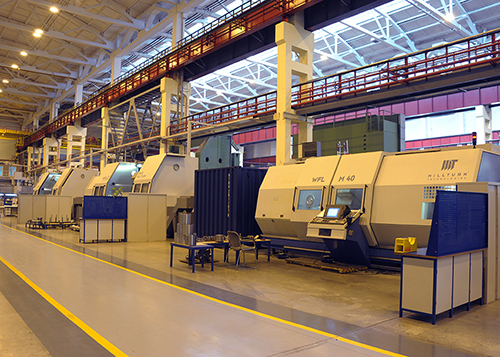 Acquired and installed was new modern equipment from the leading world manufacturers: purchased were machine tools, such as Coburg, MultiTurn, Shkoda, WFT Milturn, Tos Kurim, Tos Varnsdorf, commissioned were Okuma, Mori Seiko manufacturing lines to produce blades. 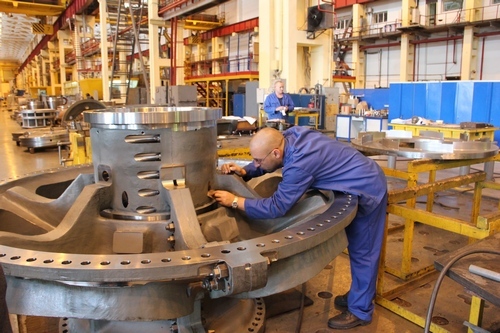 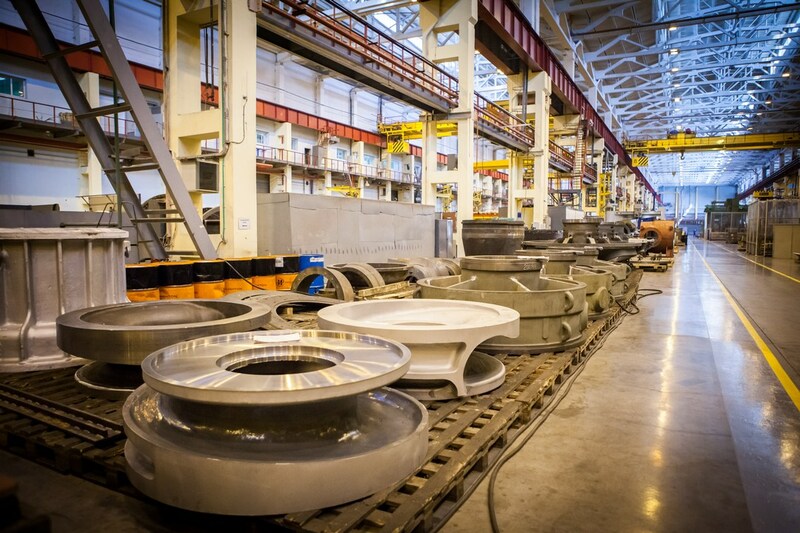 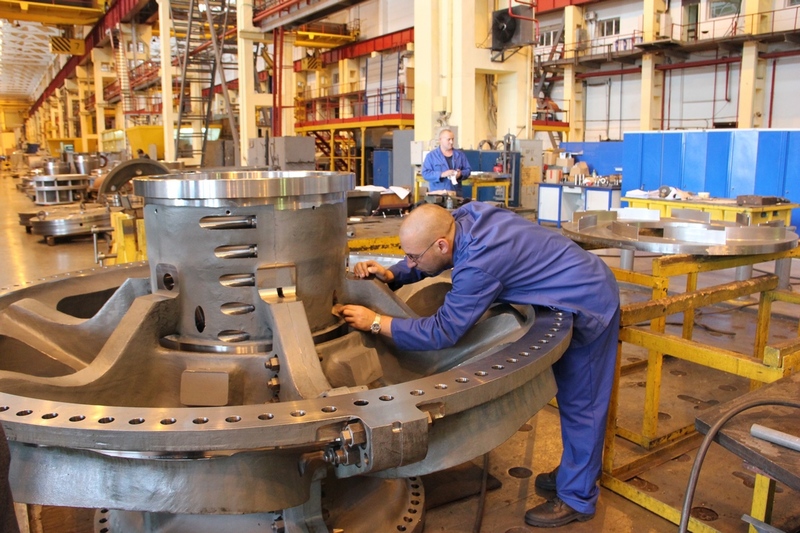 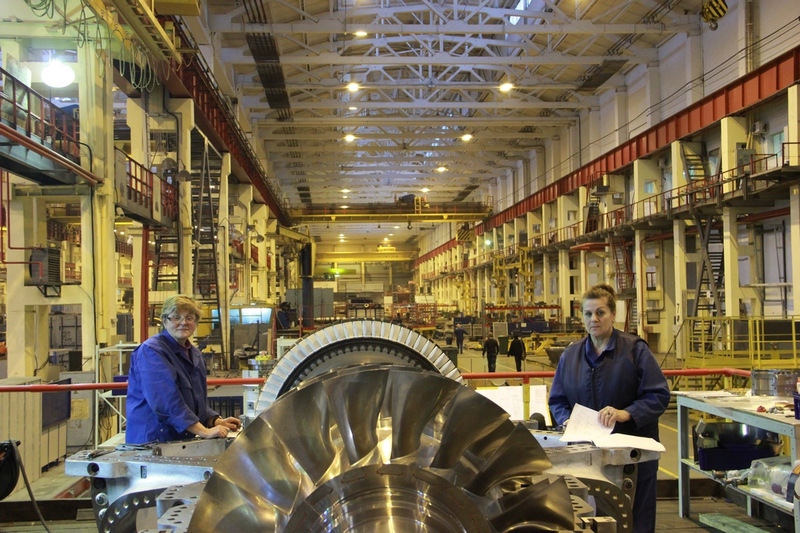 Purchased was equipment for manufacture of gas turbine rotors, in particular, machining centers to manufacture turbine disks, balancing equipment and benches for rotors assembly. 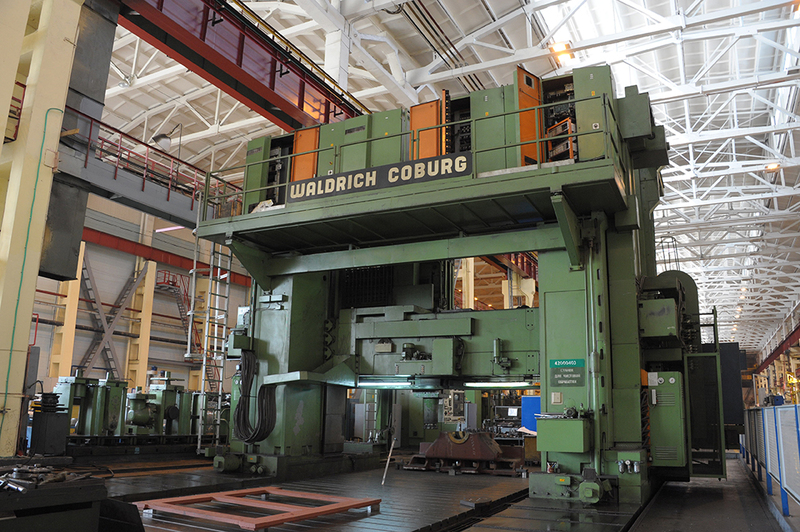 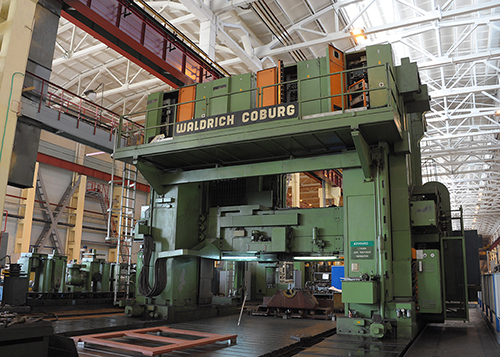 Modernized were the Coburg and Shkoda machine tools to machine casings and large-size components, commissioned was a Schenck high-speed balancing machine. 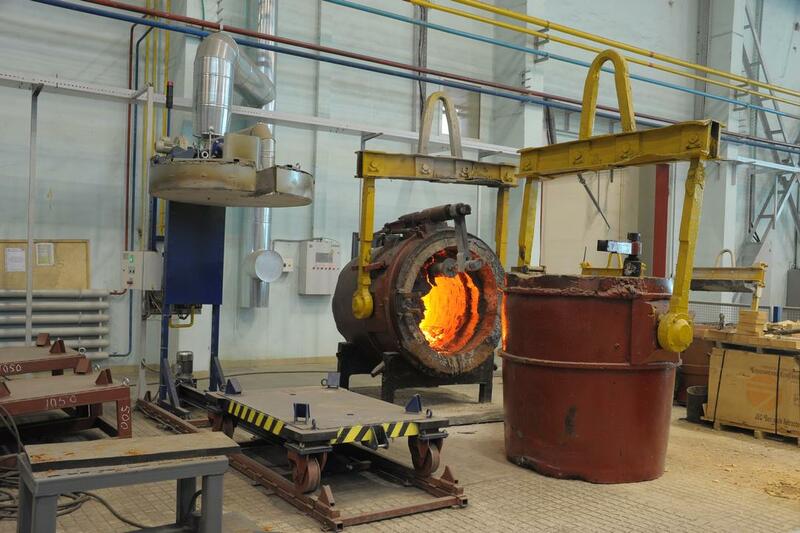 Implemented was the integrated quality management system, received were the international certificates IQNET and SINСERT, ISO 14000 certificate of environmental management; the staff was prepared, many specialists were trained at Nuovo Pignone in Italy. 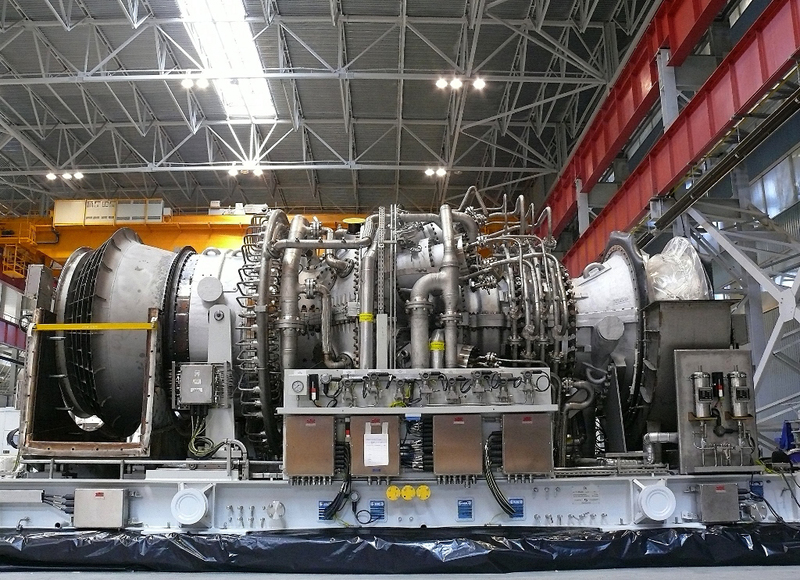 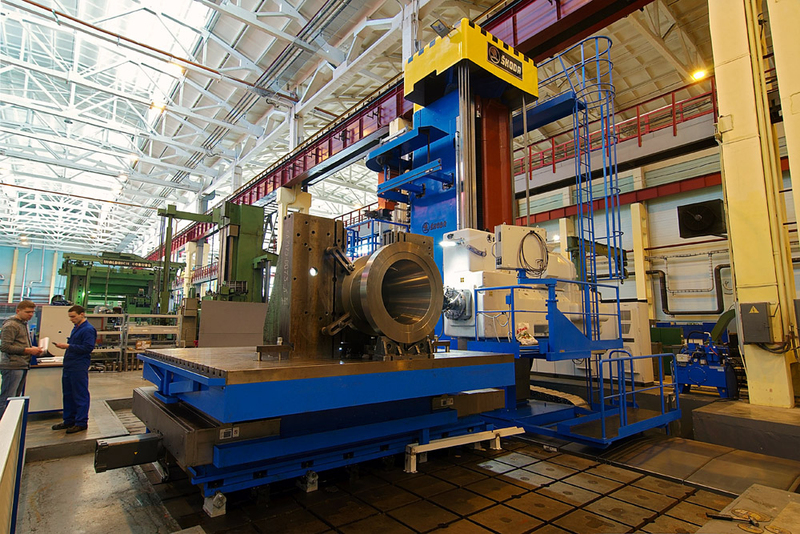 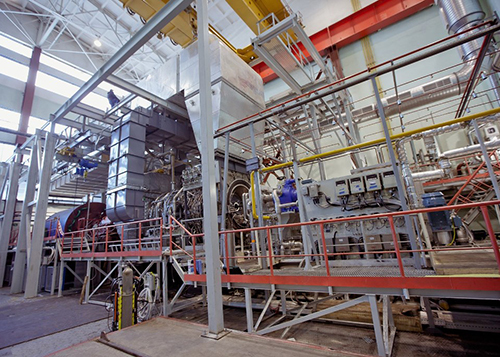 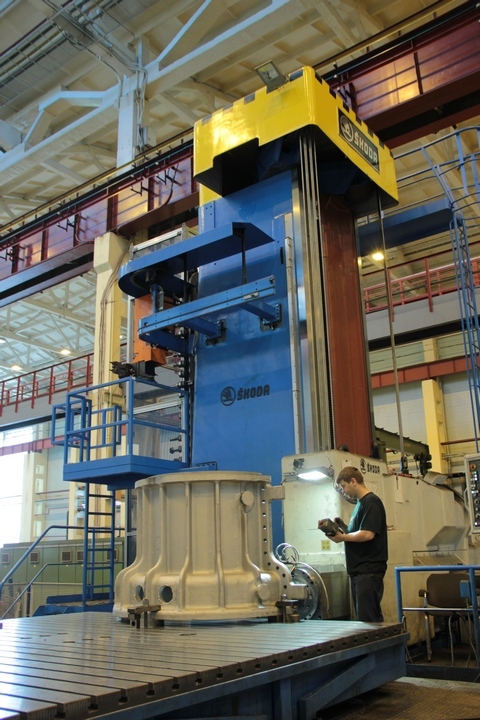 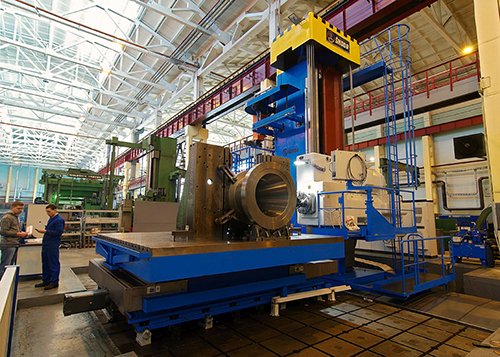 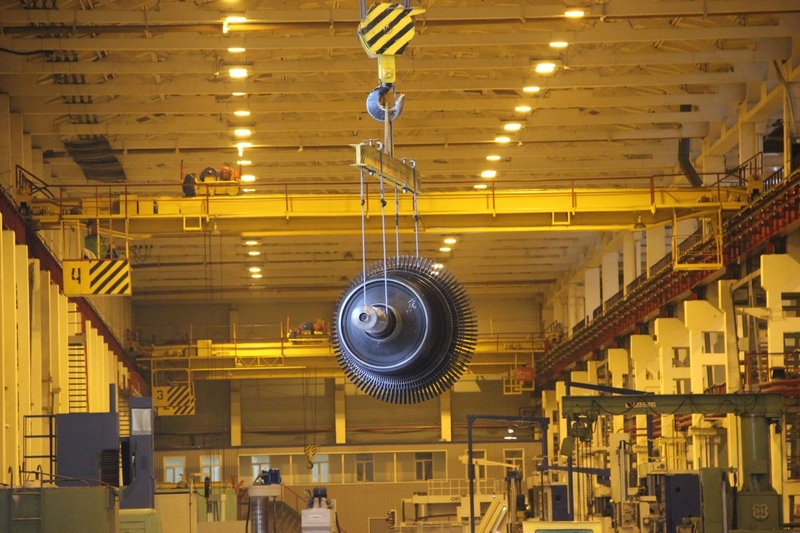 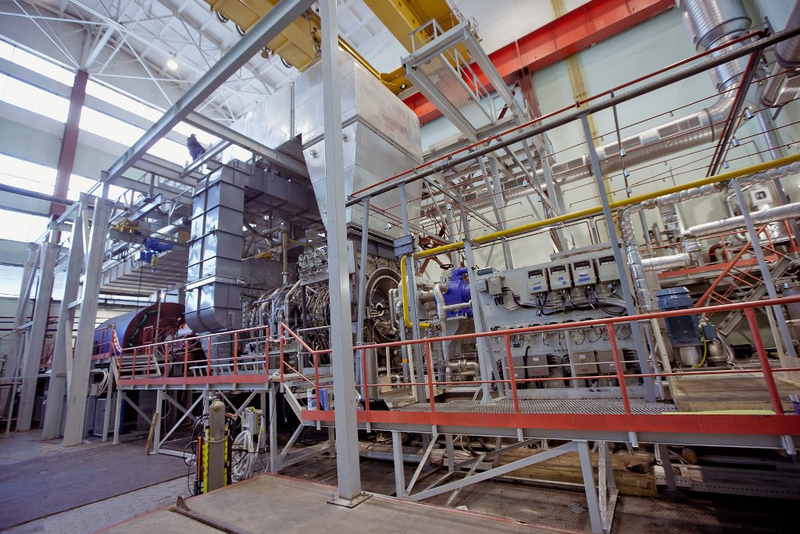 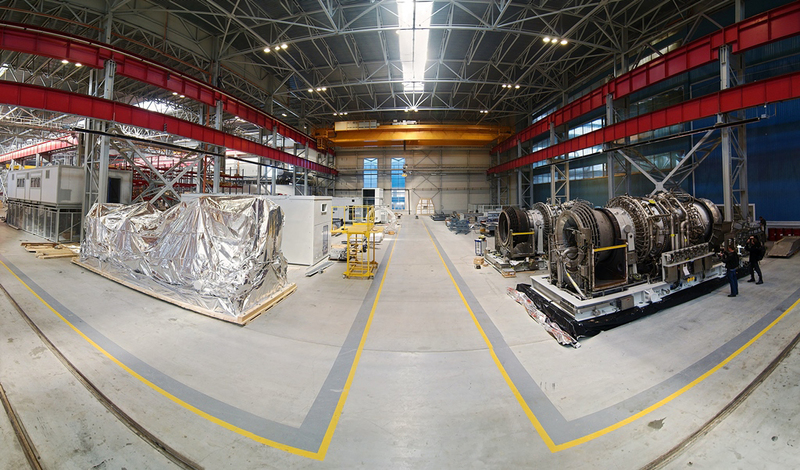 For mechanical, thermal and investigation tests of the MS5002E GTU a unique test bed with the annual program for up to 20 units was built at Nevskiy Zavod. 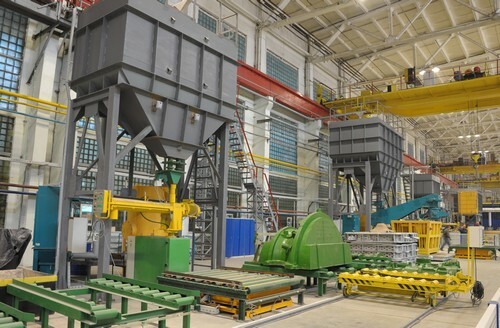 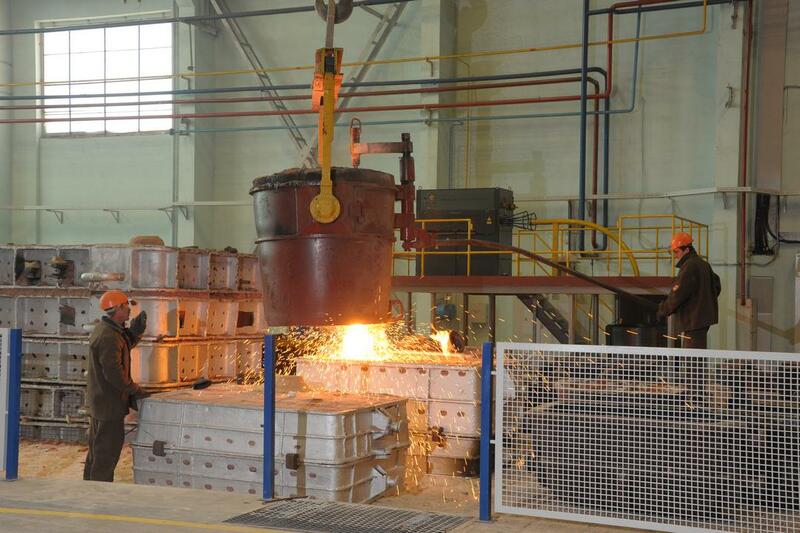 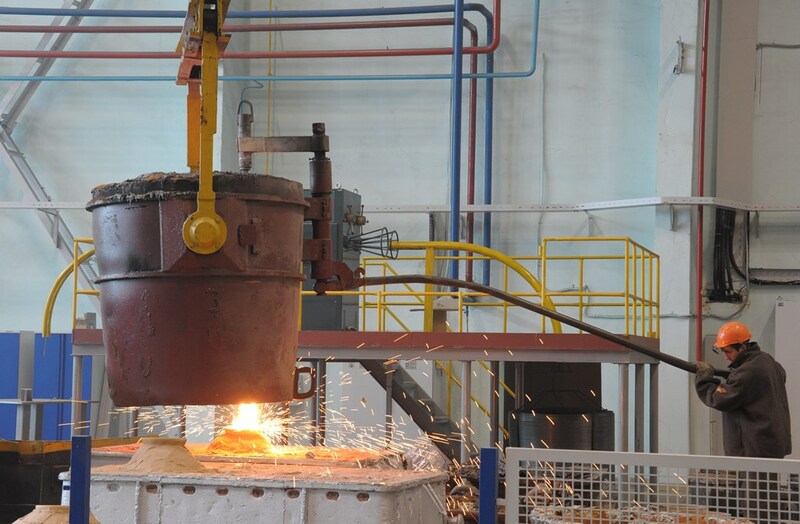 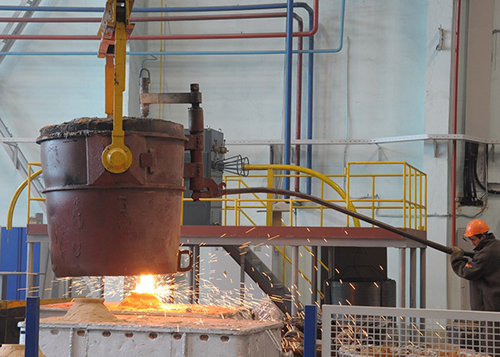 By 2011 the metallurgical production facilities had been completely upgraded: installed were new modern melting furnaces, facilities to produce casting molds and pattern equipment. 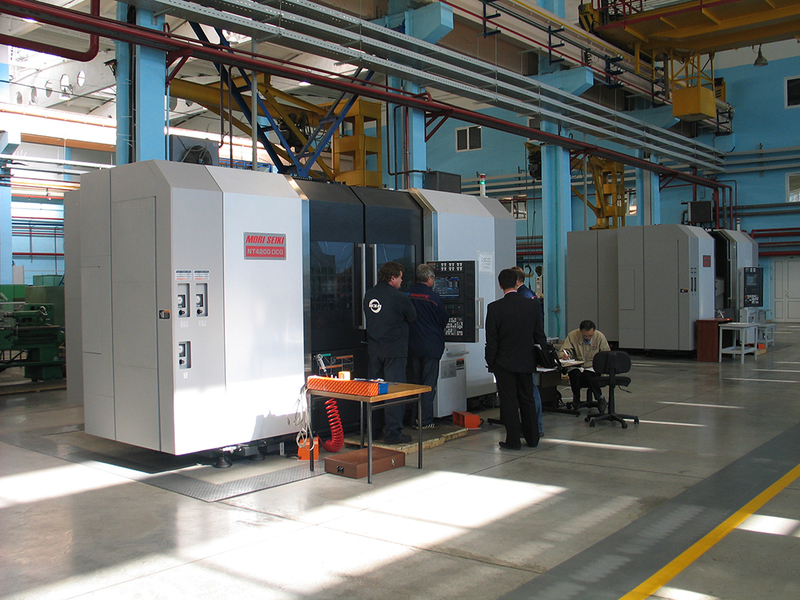 The appropriate measurement and control equipment was purchased in order to achieve high quality of the manufactured products. 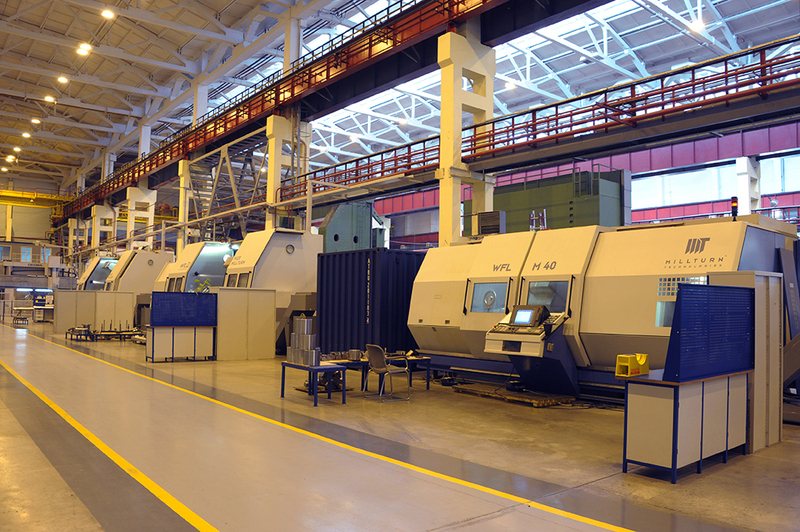 Today Nevsky Zavod is a modern production facility tooled with the modern technological equipment from the leading manufacturers, providing the complete production cycle from machining to assembly, extensive tests, installation and service maintenance. 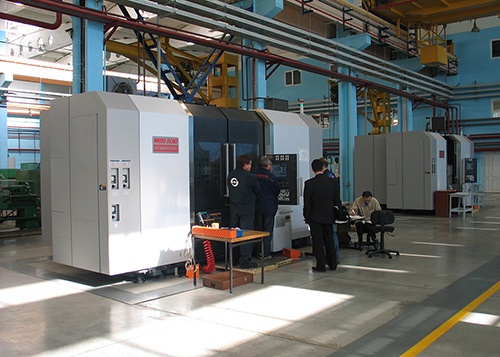 reliable systems of the products control, availability of modern test beds and laboratories. 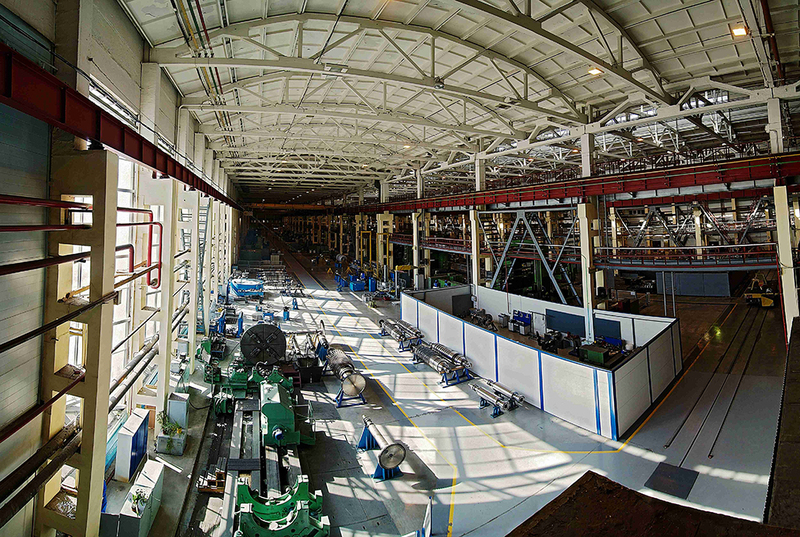 High quality of Nevsky Zavod products and services is assured by the single integrated system of quality management and environmental management. The ISM compliance with the requirements of international and Russian standards, as well as the corporate standards of PJSC “Gazprom” in the field of quality and environmental protection is confirmed by the certificates issued by the largest independent certification bodies: “Test-St.Petersburg”, the International Certification Network IQNet, the member of the International Accreditation Forum IAF-Italian national accreditation body ACCREDIA, Association "Russian Register".